From July 1 to September 30, Suzuki will be offering 0% finance on its V-Strom 650 and 1000 models, allowing adventures to go further for less on the versatile V-twins. 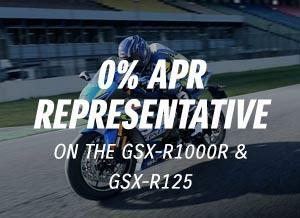 Available on a conventional hire purchase deal – which means no final balloon payment or mileage cap – the V-Strom 1000 can be ridden away for £159.00 with a deposit or trade-in of £2,110.00, while the 650 can be had for just £125.00 with a deposit of £1,542.00. However, with a minimum deposit of just £300, the offer means there's no requirement to find a big up-front payment, and the V-Strom 1000 can still be enjoyed for just £196.71 per month, with the 650 costing only £150.88 per month. The V-Strom 650 and 1000 both boast torque-rich, smooth-revving V-twin powerplants with a tremendously usable character to conquer whatever the environment, no matter the conditions. Their traction control systems continuously monitor the front and rear wheel speeds, throttle position, crank position, and gear position to help prevent unwanted spins and slides and deliver a smooth, controlled ride, while the 1000 also boasts lean angle-sensitive ABS. All new Suzukis come with an industry-leading three-year warranty and Datatag MASTER Scheme fitment as standard. 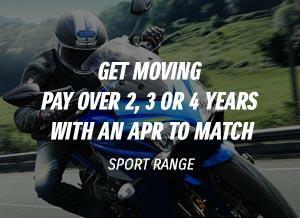 For more information on the V-Strom range, click here. Terms and Conditions *HP credit is available to UK residents aged 18 years or over, subject to status. Suzuki Finance is a trading style of Suzuki Financial Services Limited, St William House, Tresillian Terrace, Cardiff, CF10 5BH. Only available on the V-Strom 1000/XT/GT/XGT, and V-Strom 650/XT/GT/XGT purchased and registered between 01/07/2018 and 30/09/2018. Minimum £300 deposit required. This finance campaign may be extended or withdrawn at any time.